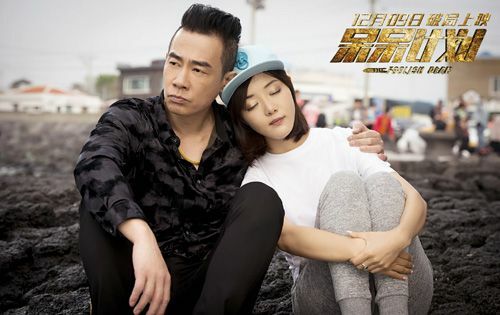 Jordan Chan plays a seemingly ruthless casino enforcer in Jeju named Mei Da Zhi who, in the opening scene, appears to be having a delinquent gambler beaten as another man desperately calls on his mom to help him pay off his debts. But it turns out the guy taking a beating is Da Zhi’s partner and Da Zhi is a bit of a softy who isn’t going to let someone’s elderly mother go completely broke. In the meantime there are a pair of ancient mirrors, the Dragon and Phoenix Mirrors, which a gangster, Bai Chu Xiong (Lawrence Ng), is trying to obtain. While he has acquired the Dragon mirror, he still needs the Phoenix mirror to complete the set so that he can sell them at an auction where they will be worth millions of dollars. After he kills the owner of the Phoenix mirror, the man’s son and a woman named Miss An (model Xu Ou Yi), make a deal to sell the mirror in the hopes that they can get back the Dragon mirror instead and give them to a museum. At the same time, Bai Chu Xiong has directed one of his henchman, Thirteen, to go to Jeju and find a Korean assassin to kill Miss An once he gets the mirror. The gun-for-hire, Cha Ki-Bum (Lee Beom-Soo), turns out to be a makeup artist with his own debts who has been coerced into taking this job by the man to whom he owes money. When Da Zhi arrives at the airport to pick up Thirteen, an avid gambler, fate causes the future heist partners’ paths to collide. An incident with a dog and a balloon sets off a chain reaction which results in Cha Ki-Bum accidentally tripping Thirteen who drops an expensive casino chip which is found by a couple visiting from Beijing. Hao Dong Dong, an antiques appraiser (Jiro Wang), and his new wife, Guo Guo (newcomer Zhang Xiao Jue), take their new found chip to the casino where they end up partnering at the craps table with Da Zhi’s wife, An Jing (Deng Jia, “IPartment”), who is having gambling troubles of her own. Da Zhi and Dong Dong team up when their wives are held for ransom by Bai Chu Xiong’s men due to An Jing’s gambling debts. Then just when one crisis has been averted, a new one arises which results in them meeting Cha Ki-Bum and plotting to get the mirrors back themselves. The three lead actors were all terrific. Jiro Wang does his usual blend of goofy and smouldering, Jordan Chan does fierce and comedic straight man so well and Lee Beom-Soo is hilarious as the bumbling make-up artist just trying to survive. Lawrence Ng also makes for a great bad guy, all cool and menacing. I didn’t feel the ladies got as much of a chance to shine and were mostly relegated to being helpless, pushing buttons or making cookies, but Deng Jia did make the most of her part. I loved the scene when An Jing first meets Cha Ki-Bum and the events that follow are the fallout from what both she and her sister have been up to. I can’t recommend this movie more than enough. It’s a great blend of comedy and action as you watch to see if the heroes can figure out a way to get the mirrors before the bad guys catch on to their scheme. Though the trailer makes it seem like a much more serious action flick, there are laughs galore throughout. You can watch it on YouTube here or here. 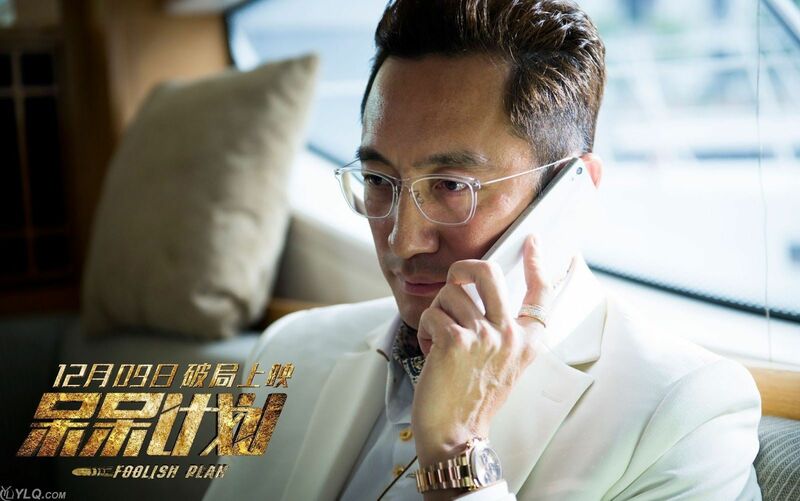 This entry was posted in Entertainment News, Reviews, World Films and tagged CMovie, Deng Jia Jia, Foolish Plan, Jiro Wang, Jordan Chan, Lawrence Ng, Lee Bum Soo by Enid Bee. Bookmark the permalink.